Save the track bike? Sure! That’s a big hop and from the looks of the photo, it’s a screen grab. 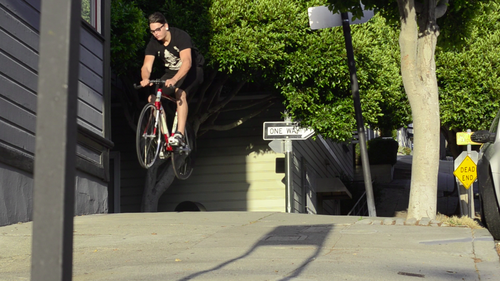 I’ve always wanted to see someone shred some SF jibs like that. Not since Gabe’s part in MASH have we seen such radness on a track bike.